If you’re not already eating Brussels sprouts and walnuts, now may be a great time to a start. Researchers believe that the vitamin A and antioxidants contained in these foods may fend off the symptoms of Alzheimer’s disease, the sixth leading cause of death in the United States. Every 66 seconds, someone in the U.S. develops Alzheimer’s disease. 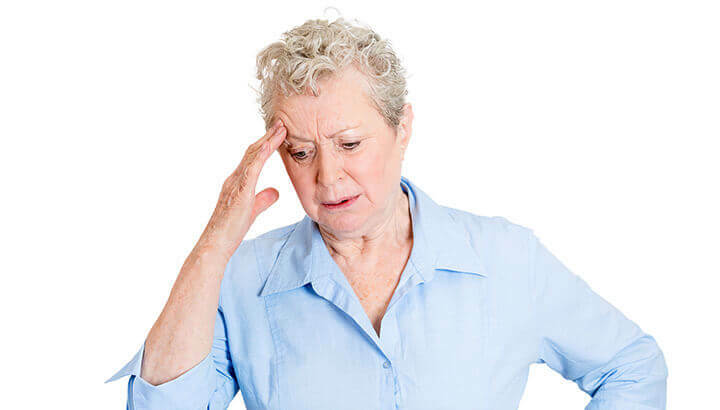 It’s the most common form of dementia and currently affects more than 5.4 million Americans, typically those who are over the age of 65. The Alzheimer’s Association says the disease is frequently characterized by loss of memory, changes in behavior and reduced ability to complete daily tasks. Alzheimer’s is a progressive disease with no known cure, but research has indicated a clear connection between lifestyle, diet and neurological function. Researchers have already explored the relationship between supplementation and Alzheimer’s disease, with positive results. In several studies, researchers have found that vitamin C, vitamin E and antioxidants can reduce the chance of developing the disease. And if you already have it, the right foods and lifestyle can slow the progress of cognitive decline. Inspired by the rich vitamin content of Brussels sprouts and its effects on the brain, researchers at the University of Aberdeen in Scotland are creating a “supercharged” version of vitamin A. Scientists hope that the synthetic substance will treat a number of neurological disorders, including Alzheimer’s. If all goes well, human trials will begin in two years. Here’s how it works: When you eat foods containing vitamin A — like Brussels sprouts — it is converted into retinoic acid by the body. It then interacts with receptors in the brain and works with the central nervous system. Researchers believe retinoic acid boosts the number of neurons and the connections between them, positively affecting neurological and psychiatric issues. 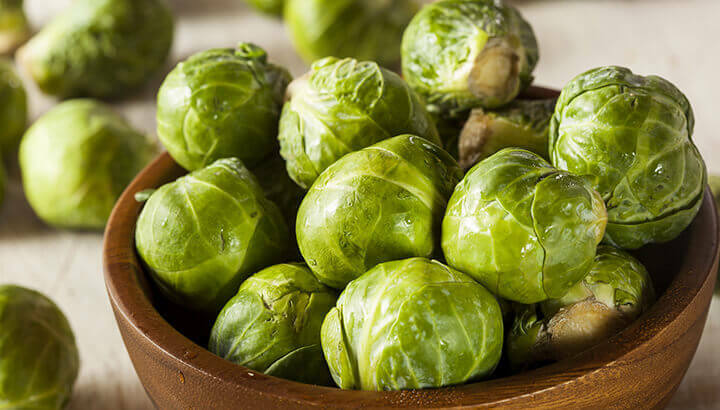 “When we eat brussel sprouts, it increases the amount of this acid in the brain,” said Professor Peter McCaffery of the University of Aberdeen to the Evening Times. “We are basically trying to create a massively amplified version of what vitamin A already does for the body. Brussel sprouts and other vitamin A-rich foods may not be the only answer. Recently an international team of researchers in India made a link between eating a handful of walnuts a day and slowing the progress of Alzheimer’s disease. 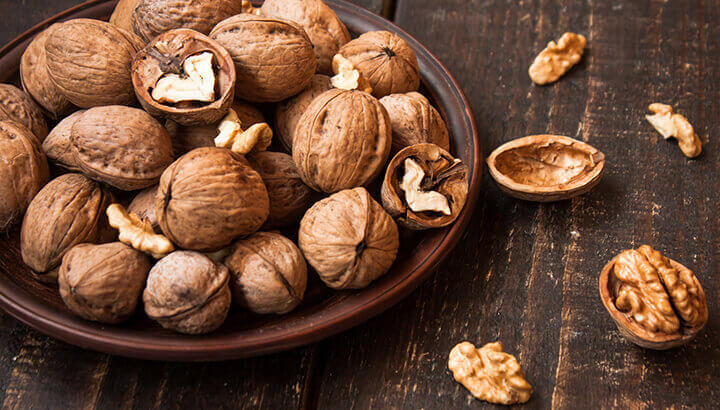 The group found that the anti-oxidative and anti-inflammatory properties of walnuts may also help prevent new cases of Alzheimer’s from developing in healthy individuals. In a prior study, researchers found that walnut extract provides protective effects against oxidative stress and cell death. More specifically, walnuts inhibited amyloid-beta fibrillization, a beta-induced oxidative stress which causes damage to the brain. In this most recent study, researchers discovered that walnuts provided to mice had beneficial effects on memory, learning skills and even anxiety. To get the brain-boosting benefits of walnuts, try to eat a handful or a 1/4 cup every day. That’s the amount of walnuts that researchers used to find positive results in their study. If you’re trying to protect brain health, there are some food items you should avoid. These include fast food, processed food, white flour, refined sugar, cheese, butter and red meat. In excessive amounts, these foods increase inflammation, oxidative stress and cell death in the body — the sworn enemies of dementia. Remember: proactivity is always better than reactivity. Once dangerous diseases take hold, it can be difficult (if not impossible) to reverse them. It’s important to do whatever you can to make sure you’re sufficiently nourished with whole, unprocessed, nutrient-dense foods. Eat well — your body and mind will thank you for it, now and into the future. Hey Buddy!, I found this information for you: "New Research Reveals How Brussels Sprouts And Walnuts May Combat Alzheimer’s". 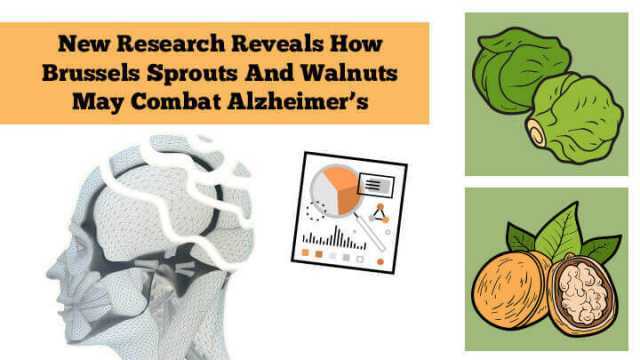 Here is the website link: https://www.thealternativedaily.com/brussels-sprouts-and-walnuts-combat-alzheimers/. Thank you.